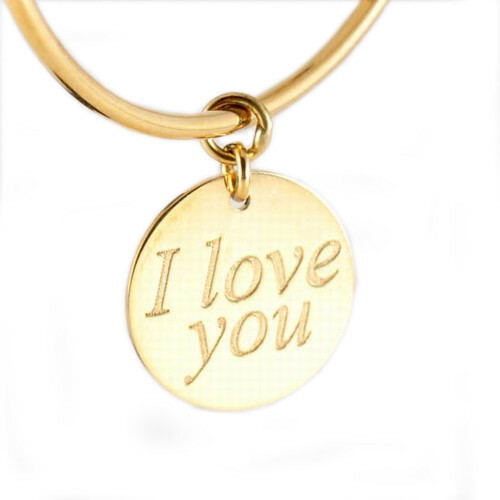 Roberto Coin's Love Plus collection lets you say "I love you" in the most amazing ways. 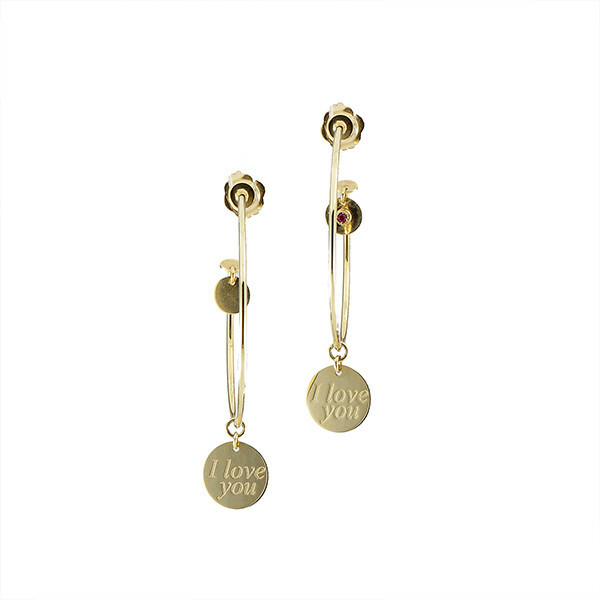 These dangle earrings are crafted in 18k yellow gold in a hoop style with a hanging charm that been inscribed with the words, "I love you". 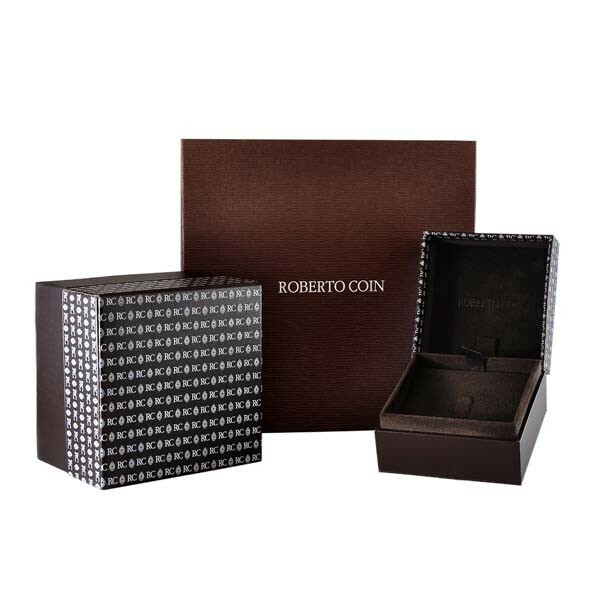 Make her day special with these Roberto Coin earrings, and your love! !